Basel Switzerland is the place to be this weekend as thousands of art fans and aficionados gather in the nation’s third largest city to attend the 45th Annual Art Basel Show. The show scheduled from June 18 to June 21, 2015 is one the leading international art exhibits throughout the globe today. Over 90,000 art lovers are expected to attend the show in Basel visiting over 331 display and exhibits of art galleries from the United States, Latin America, Europe, Asia and Africa. The works of more than 4,000 artists from 33 different countries will be featured in these displays. The Swiss event is one of three Art Basel events that take place annually. The other two are held in Miami and Hong Kong. The event focuses on contemporary and 21th Century works including paintings, sculptures, drawings, installations, photographs and videos. Many may question why premium timepieces from innovative Swiss watchmakers such as Hublot, TAG Heuer, Movado, Raymond Weil, Rado, Breitling, Ebel, Maurice Lacroix, Chopard and Ritmo Mundo are not featured at Art Basel, since many of these watches are true modern masterpieces of time. Never the less, you can find many of these extraordinary wristwatches at luxury retailer TheWatchery.com at exceptional savings too. 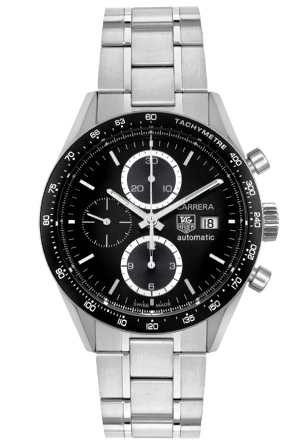 The TAG Heuer Formula 1 Chronograph is a stellar choice. 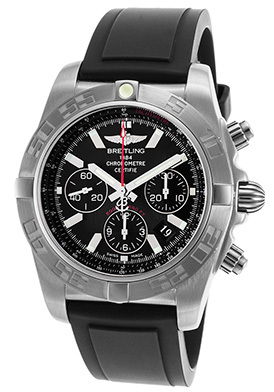 This bold and vigorous men’s watch pays homage to exhilarating racing competition that the brand sponsors. The high-performance case in premium-grade stainless steel has a satiny black ion-plated finish. 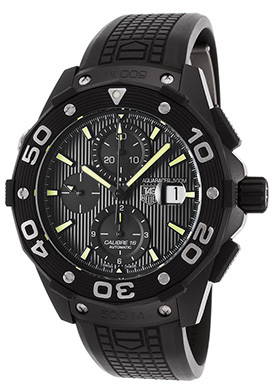 The case is presented on an outstanding black rubber strap with fluted detail and the raised TAG Heuer emblem on each side. The stationary black ion-plated steel tachymeter bezel with raised markers surrounds the black dial with 3 subdials, luminous hands and hour markers. Features include an automatic date calendar, 1/10th of a second, small-second and 30-minute registers. A protective clasp above the screw-down crown and the screw-down caseback provide water-resistance to 200 meters or 660 feet. 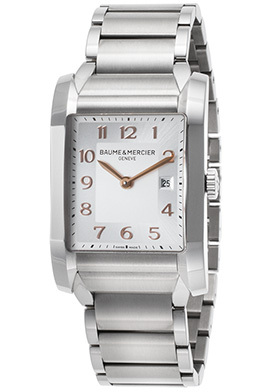 Premium Swiss-made quartz movement inside assures you of the utmost time-keeping accuracy. 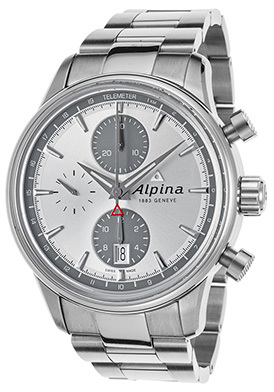 Chronograph is 42mm in diameter and 12mm thick. Cyber Monday Expands To Cyber Week! 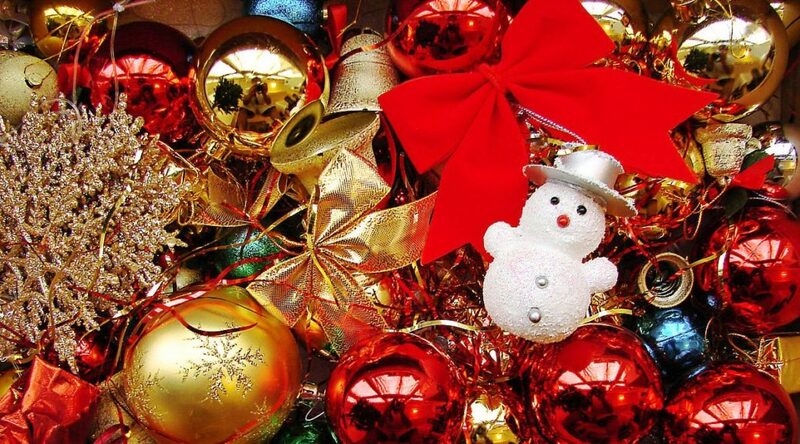 Although the annual online Cyber Monday shopping event is not even 10-years old, the event has been extended by many online retailers in the United States and other countries around the world to Cyber Week. In addition to the United States, Canada, the United Kingdom, Brazil, Portugal, Germany, the United Arab Emirates, Egypt, Columbia and Japan all have had Cyber Monday promotions this year and many have also extended the promotion to week-long events. Early estimates indicate that Cyber Monday sales in the United States have exceeded last year’s sales by 8.5%, so expanding the promotion is certainly a well thought out idea. What’s more many brick-and-mortar retailers have jumped on the Cyber Week bandwagon offering “Cyber Deals” at their many venues. 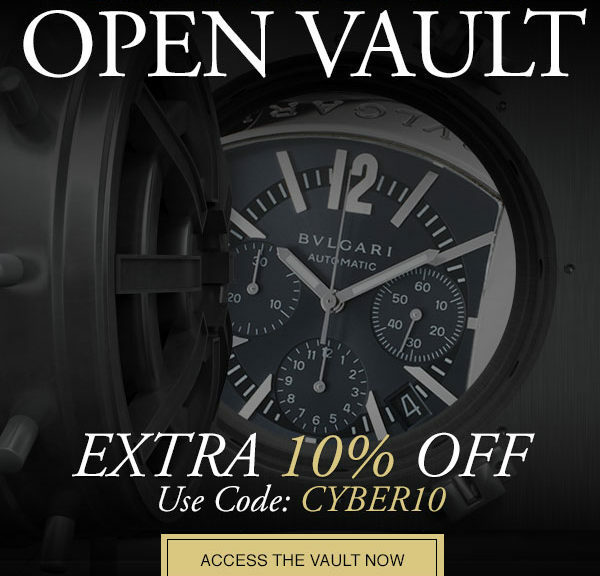 You’ll find a spectacular array of today’s top-selling watches at luxury retailer TheWatchery.com during their Cyber Week Savings Event going on right now through Saturday December 6, 2014. Over 4,700 popular men’s and women’s wristwatches are featured in the week-long promotion from the most sought-after luxury watch brands in the world, including TAG Heuer, Ebel, Invicta, Chopard, Rolex, Bedat & Co., Graham, Breitling, Gucci, Maurice Lacroix, Concord, Clerc, Ebel, Oris, Maurice Lacroix, Accutron by Bulova, Raymond Weil and more. Whether you’re searching for a prestigious men’s automatic chronograph, a seaworthy diver’s timepiece or a dazzling women’s diamond watch, you’ll certainly find just the perfect holiday gift at The Watchery. 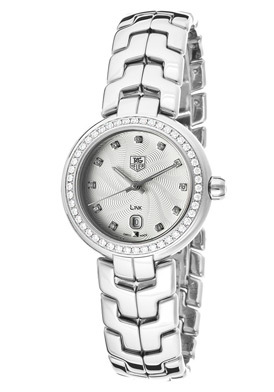 The TAG Heuer Link Series women’s diamond watch is an excellent choice. 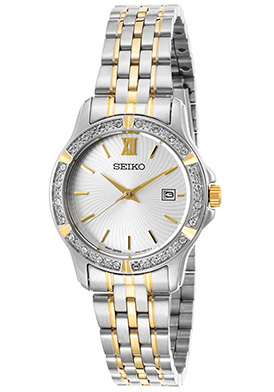 This graceful and elegant women’s watch is sporty and chic with a perfectly round premium grade stainless steel case, highly polished to a mirror-bright glow. 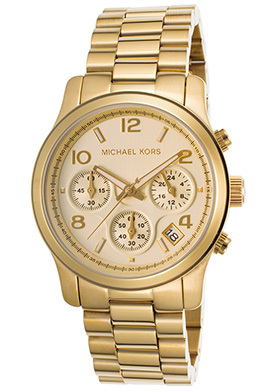 The polished signature link stainless steel bracelet adds to the lustrous good looks. Forty-eight shimmering round-cut diamonds are pave-set to glowing perfection on the perfectly round bezel. 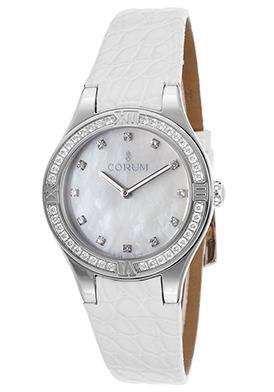 The patterned silver guilloche dial shines with silver-tone hands and eleven diamond hour markers. A window at the 6 o’clock hour reveals the automatic date calendar. Features include water-resistance to 100 meters and premium Swiss-made quartz movement inside for precise time-keeping accuracy. 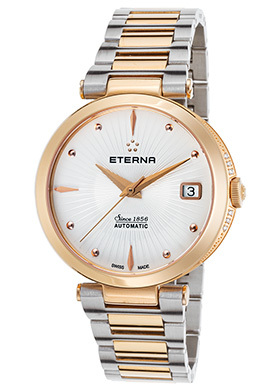 Women’s watch is 29mm in diameter and 9mm thick. 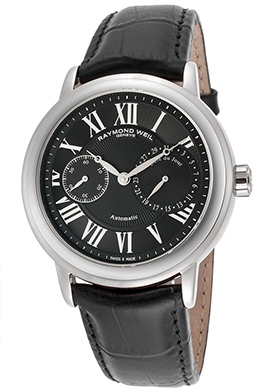 Complementary shipping is included on all domestic U.S. watch purchases at TheWatchery.com. With watch series named Aquaracer, Formula 1, Carrera, Monza and Monaco it is easy to see why TAG Heuer is the go-to watch brand in the world of auto racing. For generations, the brand has been closely identified with the high speed dynamics of the virile fast-paced sport. Many may attribute the brand’s racing legacy to the time when actor Steve McQueen, who wore a Monaco chronograph on his wrist in the motion picture “Le Mans,” which catapulted the original Heuer brand to worldwide prominence and notoriety in 1970. However Edouard Heuer, the brand’s founder, received a patent in 1911 for his Time of Trip dashboard chronograph, which was used in automobiles and aircrafts to measure the time and duration of a trip. By 1958 with the Monte Carlo 12-Hour Stopwatch, the Super Autavia full chronograph, the Sebring 60-minute, split-second timer and the Auto Rallye 60-minute stop watch, the Heuer brand was the leading producer of stopwatches and timing equipment. 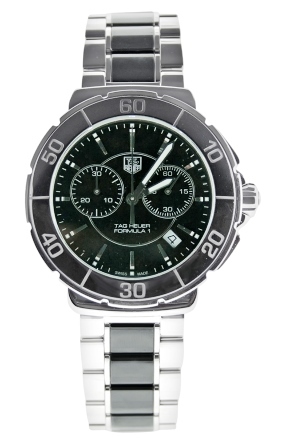 Heuer was also the top watch choice for automobile racers and enthusiasts. The brand issued special versions of its chronographs for the Formula 1 and Indianapolis 500 competitions during the 1960’s. In 1971, automaker Ferrari chose Heuer as the official timekeeper of Team Ferrari and Heuer watches were worn by illustrios drivers on the Ferrari team. In 1985, the Heuer brand was acquired by Techniques d’Avant Garde, manufacturers of the ceramic turbochargers for Formula 1 cars. 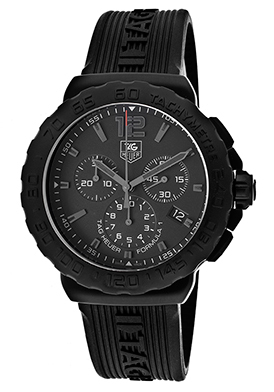 The newly formulated company TAG Heuer soon introduced the Formula 1 racing inspired watch collection featuring cases made of the ceramic material used in the turbochargers. A new, updated version of the Formula 1 is featured in TAG Heuer’s collection today, as are other racing inspired timepieces from the Carrera, Monaco and Monza collections. 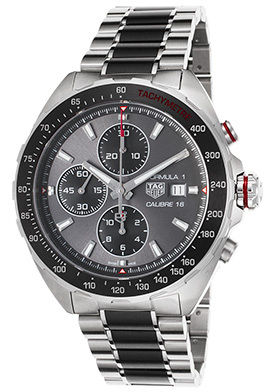 You’ll find many high-speed TAG Heuer watches at luxury retailer The Watchery, including the Formula 1 Men’s chronograph in stainless steel and ceramic. 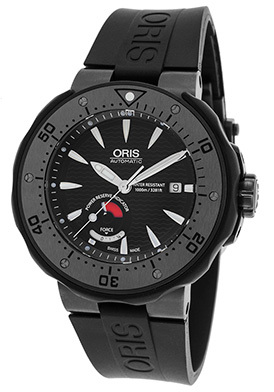 This high-performance men’s watch has a strapping 41mm diameter stainless steel case, presented on an attractive triple link bracelet in stainless steel and lustrous black ceramic. The unidirectional rotating bezel with a black ceramic top ring encircles the black chronograph dial with two subdials, an automatic date calendar, luminous hands and hour markers. 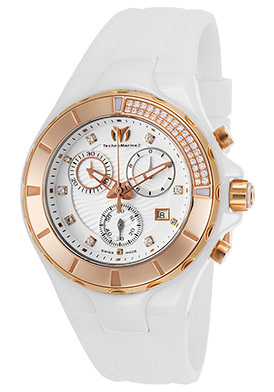 Features include premium Swiss-made quartz movement inside and water-resistance to 200 meters. Complementary delivery is included on all domestic watch purchases at The Watchery. 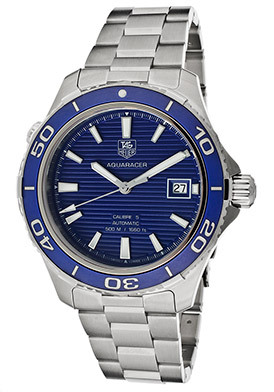 TAG Heuer is hands down one of the most popular Swiss watch brands in the world today. With a rich legacy in time-keeping excellence since 1860 and some of the most prestigious automatic and mechanical timepieces produced in the past century, including the Carrera, Monza and Monte Carlo timepieces, TAG Heuer stands high above the rest. It also doesn’t hurt that prominent film and sports stars Leonardo DiCaprio, Brad Pitt, Uma Thurman, Cameron Diaz, Tiger Woods, Cristiano Ronaldo, Jeff Gordon and Maria Sharapova serve as international ambassadors for the brand. 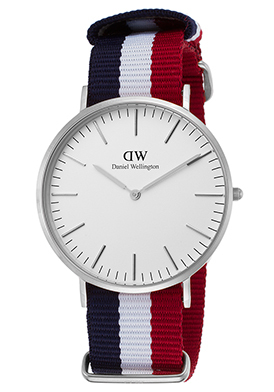 Reinterpreting existing popular watch collections is another aspect of the brand’s long-time popularity. Three of TAG Heuer’s most popular watch series today: the Aquaracer, Link Series and Formula One are reimagined versions of earlier series. vigorous update of the classic 2000 Series watch collection originally released in 1983. Both the unidirectional rotating bezel and triple link bracelet of the two collections are almost identical. New features include larger size cases as well as higher levels of water resistance. 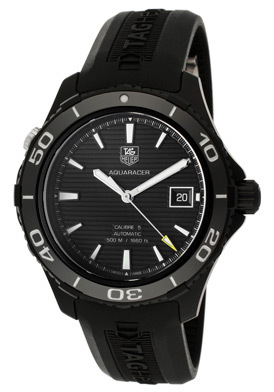 Each of the Aquaracer watches feature water resistance to 300 meters or more. The Link Series introduced in 1998 is an updated version of the classic S/EL Series, originally released in 1987. The new series features more generously proportioned bracelet links and cases, as well as genuine 18K gold in the construction instead of 18K gold plate. Meanwhile in 2000 TAG Heuer introduced the new Formula 1 Series with larger oversized stainless steel cases and titanium bezels, replacing the fiberglass material used on the classic models which originally debuted in 1987. 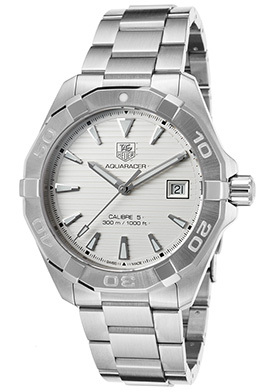 You’ll find many popular TAG Heuer timepieces at luxury retailer The Watchery during their week-long TAG Heuer Back In Stock event including the Aquaracer automatic men’s watch. 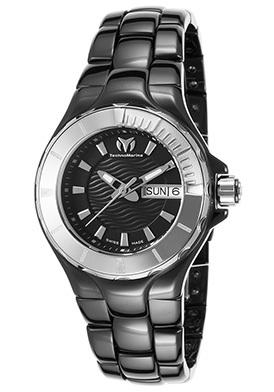 This high-performance timepiece features a premium-grade stainless steel case presented on attractive triple link bracelet in brushed and polished steel. The signature unidirectional rotating bezel with a blue enamel top ring surrounds the matching blue dial with luminous sword hands and baton hour markers. A window at the 3 o’clock hour reveals the automatic date calendar. 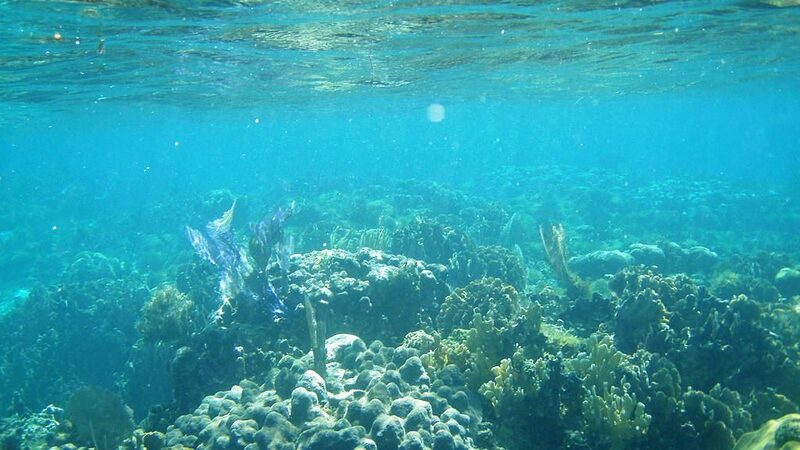 A screw-down crown and case back provide water-resistance to 500 meters. 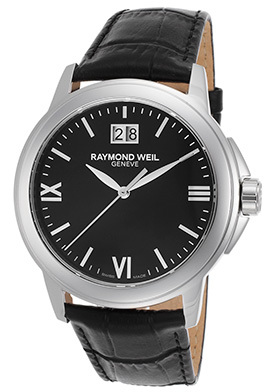 Watch is 42mm in diameter, 13mm thick and features premium Swiss-made automatic movement inside. The 2014 Golf Season is in full swing this weekend as the final rounds of the US Open take place at the Pinehurst #2 Golf Course in Pinehurst NC. The open is the second of the four major golf tournaments held annually and traditionally concludes on the third Sunday in June. Unlike other major golf tournaments the US Open is held on a different course each year. Last year’s open was held at the Merion Golf Club in Ardmore, PA, where English golfer Justin Rose defeated American players Phil Mickelson and Ernie Els. Mickelson could clinch the top prize on Sunday to win his first US Open, while German golfer Martin Kaymer, American player Fran Quinn and Korean player Kevin Na also have a very good chance of taking the title. Although golf legend Tiger Woods is not participating in the tournament, due to recuperating from back surgery, his name appears in many news reports regarding the event as another tournament he will not be playing in this year. Timing is everything on and off golf course for players such as Mickelson, Els and Woods, all who serve as brand ambassadors for luxury watch brands Rolex, Omega and TAG Heuer respectively. Wearing a lightweight watch is vital when playing the game, since a bulky, weighty model could interfere with their swing and the outcome of the game. Professional golfers in the league of Woods, Mickelson and Els prefer wristwatches with silicone straps that comfortably fit on the wrist and do not interfere with motion. 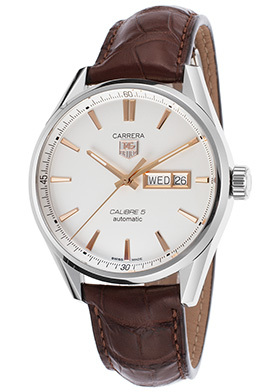 The TAG Heuer Autoracer Men’s watch, available at luxury retailer The Watchery, is an excellent choice. 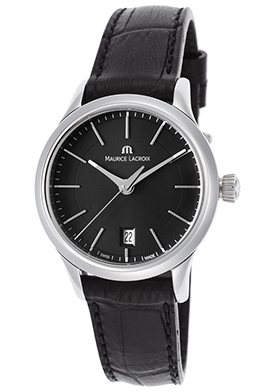 This outstanding men’s automatic watch features a comfortably-sized, black ion-plated stainless steel case and black silicone strap. The black unidirectional rotating bezel surrounds the black dial with an automatic date calendar, luminous hands and hour markers. Watch is 42mm in diameter, 12mm thick and features Swiss-made automatic movement, a locking screw-down crown and case back for water-resistance to 500 meters. Summer travel is on everyone’s mind with Memorial Day weekend just ending and the imminent summer break of most colleges and schools taking place in the next few weeks. Italy, Switzerland, France, England, Denmark and Japan are among the most popular International locations many Americans will be traveling to this summer. At luxury retailer The Watchery, you don’t have to travel too far to enjoy the luxury or ambience of these esteemed destinations with their World Class Style event. 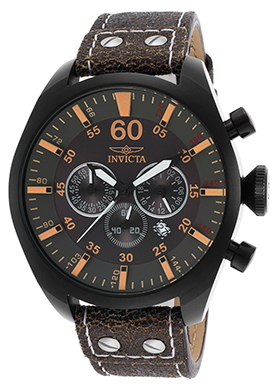 Prominent luxury timepieces for men and women from each of these popular countries are featured in the site’s week long promotion. Whether you’re looking for exemplary Swiss-made timepieces from TAG Heuer, Oris, Perrelet, Movado, IWC, Breil, Rado, Ebel, Tissot, ESQ by Movado and Raymond Weil or state-of-the-art Japanese wristwatches by Seiko, Citizen and Casio, you’ll find just the style you’re searching for at The Watchery. You’ll also find impeccable timepieces from Italy by Gucci, Fendi, Emporio Armani, MOMO Design, Officine Panerai, IWC, U-Boat, Salvatore Ferragamo and Lancaster Italy. There’s Cartier, Chanel, Christian Dior and Ted Lapidus watches from France, along with Obaku and Skagen watches from Denmark and Project D London, Rotary and Graham watches from England. When it comes to skillfully-crafted Swiss chronographs, the TAG Heuer Carrera Automatic Chronograph for men is in a league of its own. 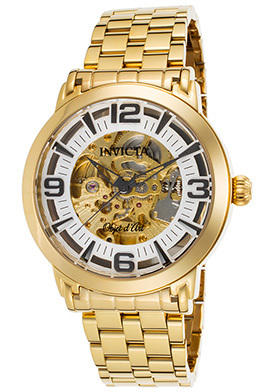 This outstanding wristwatch features the superlative quality and design the brand is renowned for. 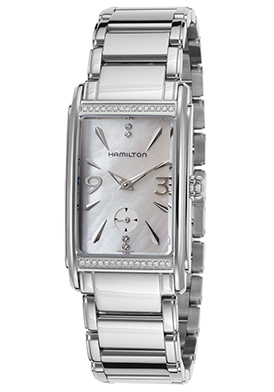 The Tonneau shaped case in premium-grade stainless steel is presented on a handsome triple link bracelet in brushed and polished steel. The stationary black screened tachymeter bezel surrounds the black dial with three subdials, luminous hands and baton hour markers. A window at the 3 o’clock hour reveals the automatic date calendar. Features include small-second, 30-minute and 12-hour registers. The skeleton crystal caseback reveals the intricate automatic movement inside. 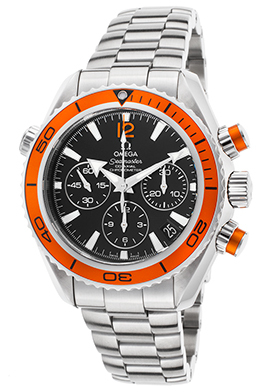 Chronograph is 42mm in diameter, 17mm thick and is water-resistant to 100 meters or 330 feet. Complementary delivery is included on all luxury designer purchases at The Watchery.